All beats are compulsory catch and release for salmon and grilse. Please note that worming is prohibited after 15th September. The Estuary beat opens on 1st April and is fly only until 1st May. Worm and fly can be fished from 1st May until 15th September, then fly only to 31st October. Both banks of the estuary can be fished. This beat is for Club members only. 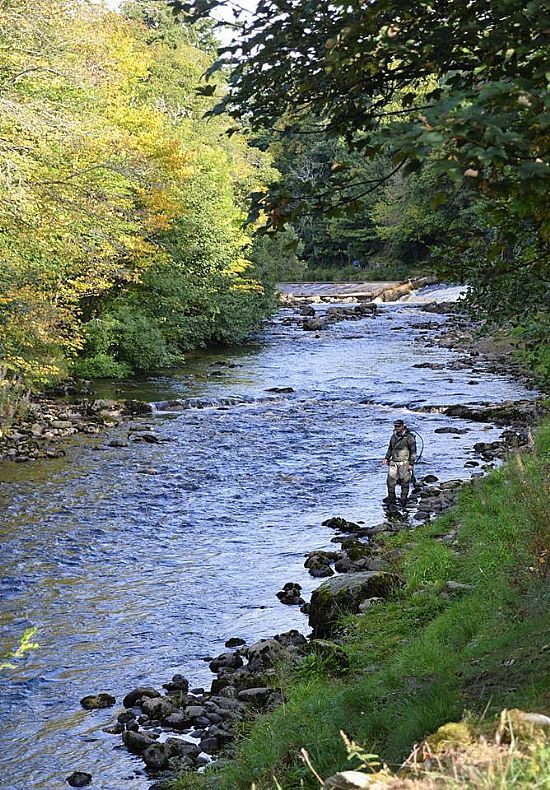 This beat is left hand bank only with fly and worm fishing until 15th September then fly only to 31st October. Only six club rods are allowed to fish this beat so anglers are required to leave a note in their car windscreen indicated the number of anglers fishing from that vehicle. If six anglers are present you must wait, or fish elsewhere.